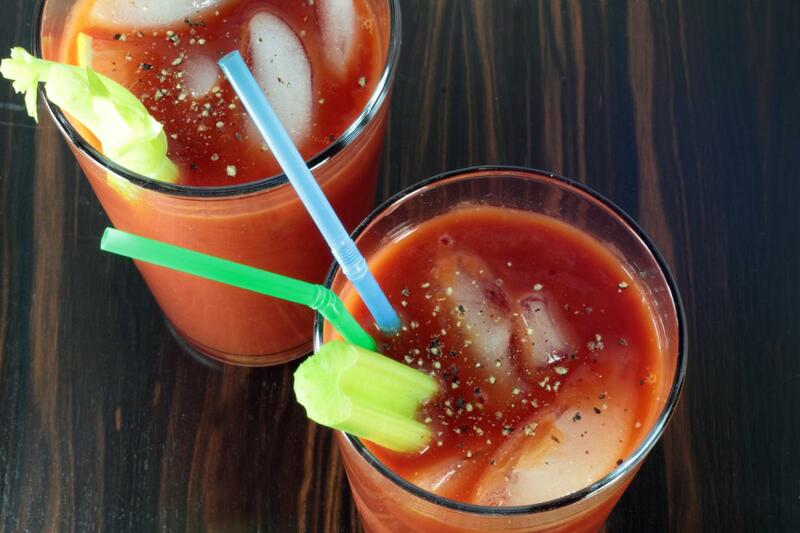 No brunch is truly complete without some bottomless Bloody Marys. Luckily, there are plenty of mouthwatering local restaurants throughout the 727area that can quench your thirst! From St. Petersburg to Oldsmar, you can get your Bloody Mary fix at any of these weekend brunches. Carmel Kitchen & Wine Bar, Sunday 10 a.m. – 2 p.m.
At this Clearwater restaurant’s Sunday brunch, you can find them serving bottomless classic Bloody Marys with tomato juice, fresh lime, horseradish, Vodka, and a blend of spices. Their doors open for brunch at 10 a.m., and you can pair those classic Bloody Marys with other classic brunch dishes like shrimp and grits or chicken and waffles. The Living Room on Main, Saturday & Sunday 10 a.m. – 4 p.m.
With a delectable brunch menu featuring dishes like truffled mushroom omelets and stuffed brioche French toast, this is the perfect brunch spot for the ultimate foodie. You can pair bottomless Bloody Marys with this killer brunch menu for just $15 per person. Craft Street Kitchen, Sunday 11 a.m. – 3 p.m. Craft Street Kitchen’s mouthwatering, Southern-inspired brunch gets even better with bottomless Bloody Marys. If you’re feeling bold, you can try their Smokey Bourbon Mary made with CSK Single Barrel Knob Creek 120, Smoke Essence Glass, Zing Zang Bloody Mary, a sriracha rim, and smoked gouda garnish. They’re taking brunch to the next level! Yeoman's Cask & Lion, Saturday & Sunday 11 a.m. – 2 p.m. This English pub-themed restaurant offers bottomless Bloody Marys for just $10 with the purchase of an entrée. You can pair your Bloody Marys with a unique, British-inspired brunch menu with options like the English Breakfast or Breakfast Mac and Cheese! Head to their Downtown St. Petersburg brunch between noon and 2 p.m. to enjoy some live music as you sip on your bottomless drinks. The Oyster Bar, Saturday & Sunday 10 a.m. – 3 p.m.
Go bottomless with your brunch at The Oyster Bar in St. Petersburg! You can enjoy your Bloody Marys with their raw bar and oysters, a fried oyster scramble, or beer battered fish and chips made with Big Storm beer. Stop by on Sundays for endless favorites at their brunch buffet. The Lure, Saturday & Sunday 11 a.m. – 2 p.m. If you’re ever near the 600 Block of St. Petersburg looking for bottomless brunch, look no further than the Lure. You can sip on perpetual Bloody Marys as you decide whether to go with the Emerald Isle Bowl or Chesapeake Crab Cake Benedict. Not feeling brunch-y? Not a problem: their full dinner menu is always available, even during brunch. Next time you find yourself craving a good bottomless Bloody Mary special on the weekend, bring yourself to brunches in the St. Petersburg and Clearwater area. Find more restaurants in St. Petersburg and Clearwater by registering on 727area, your free guide to this side of the bay.